Ask people to repeat themselves. Leaning toward people when they speak or saying “what?” multiple times in a conversation is often the first sign of a hearing condition. Avoid using the telephone. Patients may find themselves reluctant to talk on the phone because they increasingly rely on facial cues and reactions to follow a conversation. As a result, they may not be able to hear or understand words spoken over the phone. Fail to hear high-pitched noises. Hearing loss often begins at the upper ranges, so patients may fail to hear birds, instrumental music, and the voices of women and children. Work in a noisy environment. People who live or work in areas where noise levels are consistently high are at significant risk of early and permanent hearing loss. We can create custom ear protection for all situations, allowing you to keep working without damaging your ears. Have a ringing in your ears. If you are always aware of a buzzing, whooshing, or ringing sound in your ears, you are likely suffering from tinnitus. A hearing specialist can determine the cause of your condition and find the right treatment to restore the silence. The link between hearing loss and heart disease is well established. While heart disease can lead to hearing loss, maintaining a healthy heart can reduce your risk. Today we're discussing this with our Expert in Hearing Dr. Pam Keenan from McDonald Hearing Services. If one of your goals in 2019 is stay healthy, you probably already know, that means going to the doctor for regular check-ups. Early detection is the key to avoiding permanent hearing loss, so you should schedule a hearing test immediately if you do any of the following every day. Why is it important to get a hearing test every few years? 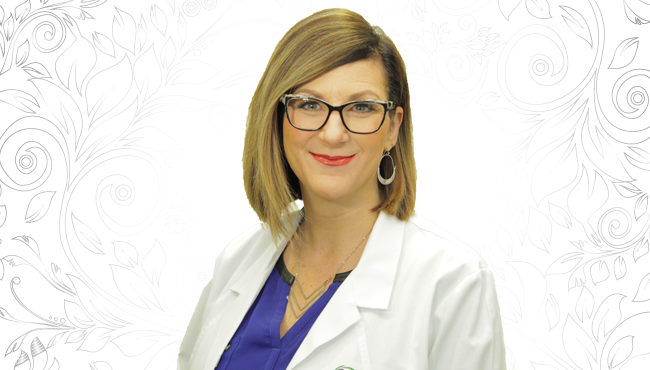 Dr. Pamela Keenan is the current owner of McDonald Audiology and Hearing Health Care. Prior to owning the practice she worked for the previous owner for 14 happy years.